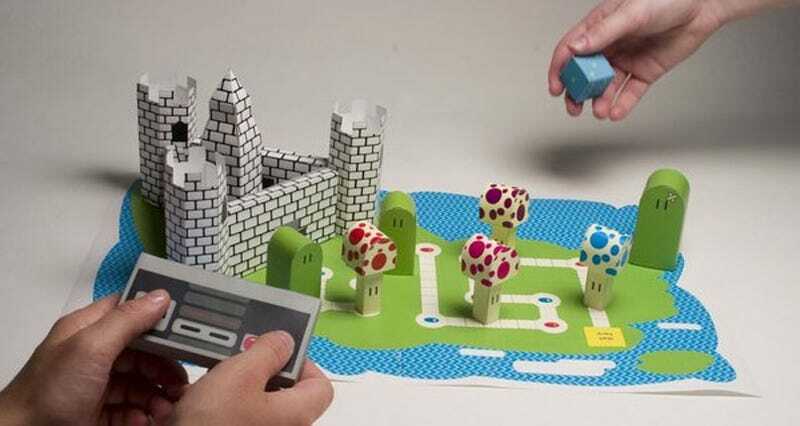 Ever wondered what Mario would have looked like had Nintendo stuck to their background in making games out of paper and cardboard instead of going all electronic? Wonder. No. More. This is "Mushroom Kingdom", by Ashley Buerkett. And no, it's not really a game. It's just an incredibly delicate, wonderful piece of papercraft. So you can't play it. But you can look at it. So let's!